The first ever community event on Brighton’s newest community space is to take place this Sunday. The Friends of Brighton Greenway are inviting the community to a picnic on the greenway, which they have spent months lovingly cultivating into a magical pedestrian route. The event coincides with Heritage Open Door weekend and includes a guided walk from Brighton Station along the greenway to London Road Station, celebrating Brighton’s railway heritage. Brighton Greenway currently runs from New England Road across the Grade II listed iron bridge to Stroudley Road. The southern extension up to Brighton Station will shortly be open, which should encourage more pedestrians to use this route. “We organised the picnic to try to get more people involved with Brighton Greenway. It’s a key green space in the middle of the New England Quarter, important for wildlife and linked to Brighton’s railway history”, said Elspeth Broady, Secretary of Friends of Brighton Greenway. 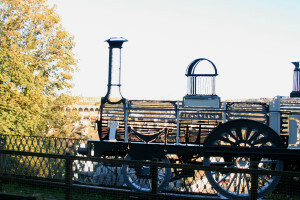 As part of the celebrations, a plaque explaining the background to Jon Mill’s ‘Ghost Train’ sculpture on New England Road bridge will be unveiled by local ward councillors and Chris Gilbert from QED Developers. Natasha Hubert, resident choreographer from nearby Bird Studios will be organising a surprise performance evoking the area’s railway past. 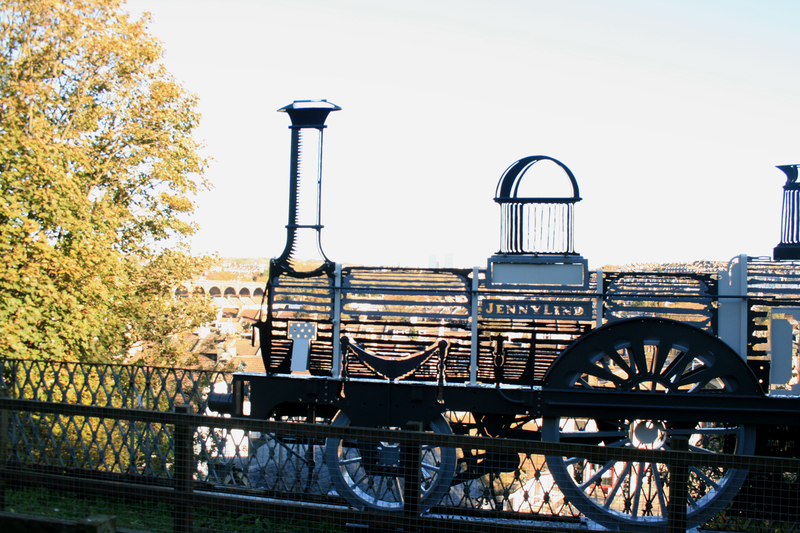 The Ghost Train is a replica of the famous Jenny Lind locomotive used by the London, Brighton and South Coast railway in the latter part of the 19th century and commemorates Brighton Greenway’s railway past. The pathway was formerly the lower goods track leading to Brighton’s Locomotive Works. Brighton Greenway is also Brighton’s most urban Site of Nature Conservation Interest, providing a wildlife corridor through the centre of the city up to Preston Park and the Downs. The picnic runs from midday to 5pm on the northern section behind Isetta Square. At 1pm, the plaque for The Ghost Train will be unveiled. The guided walk starts from the cycle hub at Brighton Station at 3pm. In the event of rain, the Church of Christ the King has kindly agreed to provide shelter. I’m assuming they’ve got rid of the homeless people living in tents there.